Join SecEd & Headteacher Update for their 11th must-attend one-day conference being held at The Gallery, the NEC, Birmingham B40 1NT on Friday 29th March 2019. Following on from the success, popularity and relevance of our previous 10 Pupil Premium conferences, the 11th National 'Pupil Premium and Ofsted – Ensuring Successful Outcomes' conference will bring together innovative schools, senior leaders, teachers and other experts to help you discover new deliverable, evidence-based and practical interventions and strategies for raising attainment, overcoming barriers and, ultimately, narrowing the gap for disadvantaged pupils. With school funding under huge pressure and strong accountability in place, it is vital to maximise the potential of your Pupil Premium Grant and to show detailed evaluation, clear value for money and high impact. Creating a culture and ethos that empowers parental involvement and equips your teachers and leaders to go above and beyond for students is essential. Join our expert speakers to discuss classroom and school-wide interventions, strategies and practice that can make this a reality for your school. This event will offer you practical advice and ideas for how to “poverty proof” your school, ideas for new interventions to adapt for your setting, advice on implementing evidence-based and proven interventions, evidence-based guidance on closing the language and literacy gap – all aimed at helping you to raise the attainment and achievement of your disadvantaged students. This conference will provide you with the opportunity to attend relevant and practical workshops led by school leaders and other experts. All speakers are briefed to provide delegates with practical advice and ideas, interventions and strategies that can be taken away and adapted. The ultimate aim is for you to be able to put these new ideas into practice straight away on returning to your school. The event features two keynotes, nine workshops relevant to primary colleagues and nine workshops relevant to secondary colleagues. Strategies for improving language and literacy skills, which are often the reason behind the most pronounced gaps in attainment between Pupil Premium and non-Pupil Premium students. How to grow pupils’ cultural capital and vocabulary in order to open the door for achievement and attainment. 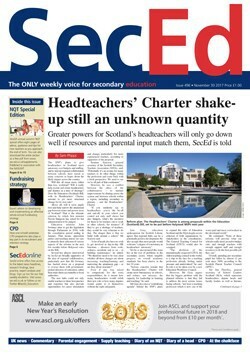 SecEd is the established, trusted, weekly newspaper dedicated exclusively to secondary education. Supported by weekly e-bulletins and sec-ed.co.uk, the SecEd brand aims to provide all those teaching in secondary education with news, analysis, best practice guidance, and research-based content. To learn more about SecEd please click here. 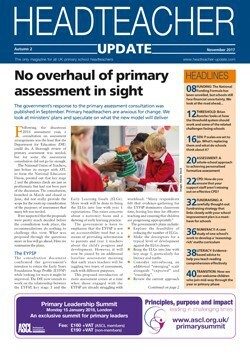 Headteacher Update is published once every half-term and is distributed free to every primary headteacher in the UK. Packed with updates on policy and legislation as well as practical, applicable guidance for school management, curriculum change, Ofsted guidance and much more, Headteacher Update is the dependable, professional read for the primary school leader. To find out more about Headteacher Update, click here.